We invite you to sail with us through the beautiful Calculus Sea, where you will learn to love, perform, and live Calculus! What do you need to fall in love with Calculus and get a 5 on AP Exam? 1. Informative Calculus Lectures in Powerpoint format. We offer you ppt lectures! 2. Practice problems! They are in your textbook. Do your homework!!! 3. Effective review before the AP Exam. We offer you a book with 6 full BC Multiple Choice Exams and a book with 5 full - AB Multiple-Choice Exams! 4. Practice with Free Responses Problems. Download some from AP Central - we'll give you the link to their site. Our Interactive Books, AP Calculus Interactive Lectures Vol.1 and Vol.2 provide all of the necessary materials and resources to hone your skills and get a 5 on the AP Test. Our books are written by a teacher who has been teaching AP Calculus BC for 20 years. She teaches 3 full AP Calculus BC classes per year and her students' AP scores speak for themselves: On average, 94 % of her students get fives and 100% pass the AP Calculcus BC Exam every year. Please read on and investigate our tools that are changing students' lives! Also available: Kindle and Paperback versions of these books. The titles of these books in both Kindle and Paperback formats are "AP Calculus BC Lecture Notes" and "AP Calculus AB Lecture Notes". ​You can order them here or on Amazon. 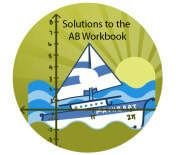 Our workbooks, Multiple Choice Questions to Prepare for the AP Calculus BC(or AB) Exam are your essential tools to scoring well on AP Calculus Exam. These books fit the College Board requirements for the 2019 AP Exam, and reflect all the recent changes in the AP Calculus BC and AB curriculum and the AP Exam format. These books are created with the student in mind. They are meant to reinforce key skills, such as attention to detail, to review all types of exam problems, and to have the optimal number of each specific problem type reviewed. It provides the reader with comprehensive practice, which will help the student gain confidence, knowledge and test taking skills necessary to do well on the AP Exam. The exams in this book are in the same format as the Multiple-choice section of the actual AP Exam. The problems in these exams are similar in their level of difficulty, wording and variety to those on the AP Exam. The Answer Key is included. 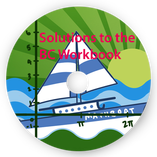 The solutions with step-by-step explanations to each and every problem created in the form of PowerPoint presentation are available for ordering here: AB Solutions and BC Solutions. The reference section of the book contains formulas and theorems needed for the AP test, which are carefully chosen, conveniently organized and easy to access and view. Another important feature of this book is a collection of effective tips for the AP Test, which helps the reader to avoid common mistakes, flaws and misconceptions. These helpful tips have been collected by the author over the years and shared with her own students, and are now being shared with you. To be ready for Calculus, you need to learn Pre-Calculus well. To get to the college of your choice, you need to learn the topics needed for taking the SAT Math Exam. Mathboat's other awesome book is called Pre-Calculus and SAT Interactive Lectures(ebook) or Pre-Calculus and SAT Lecture Notes Vol. 1 and Vol. 2 (paperback/ Kindle) This book contains PowerPoint Presentations(ebook) or printouts of more than 100 Powerpoint presentations(paperback) on topics covered by the Pre-Calculus and SAT Math courses. These lecture notes can be used for both review and learning, and are a perfect fit for every student no matter their current knowledge of Pre-Calculus. Before you begin practicing with multiple-choice problems from the SAT book, you need to get a confident understanding of the material. This book is intended to help you do that.